Integrate God’s Word into your everyday life. – Experience freedom from anxiety. Meditating on God’s Word-writing His promises on your heart-will help you overcome worry and live in God’s perfect peace. – Triumph over temptation. When you hide God’s Word in your heart, the sward of the Spirit is readily available for spiritual battle against sin. – Gain confidence in witnessing. Learn a series of verses you can easily use to effectively share the gospel with friends, family, neighbours-anyone God brings your way. – Achieve spiritual fitness. Sense God’s presence moment by moment with Scripture meditation, grow stronger in your faith, and become better equipped to meet the needs and opportunities you face each day. 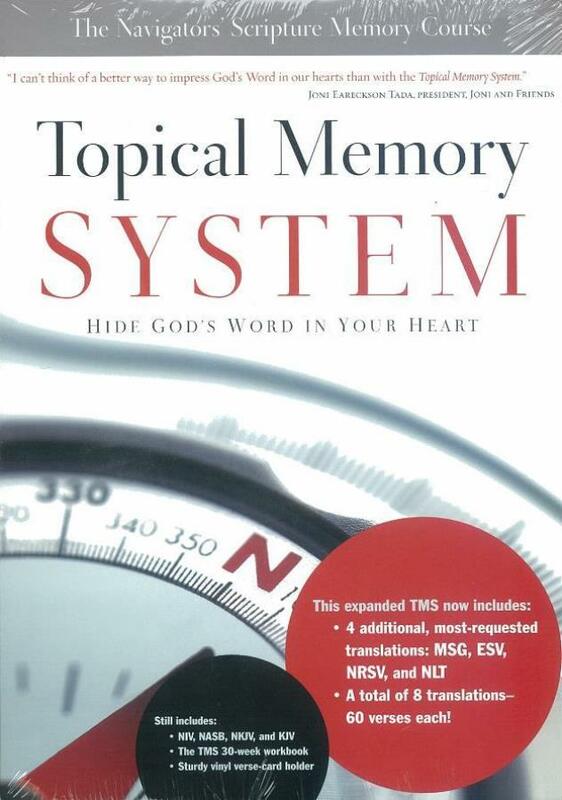 Developed by The Navigators, a ministry leader in discipleship and spiritual formation, the Topical Memory System provides you with an effective, portable way to meditate on Scripture wherever life takes you. Now featuring eight Bible translations: New International Version, The Message, New American Standard Bible, New King James Version, English Standard Version, King James version , New Revised Standard Version, and New Living Translation.